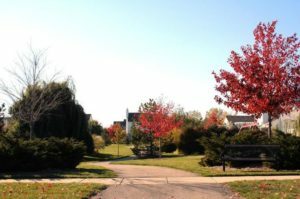 Arbor Creek is an Ann Arbor neighborhood that strives to maintain a natural setting. The tasteful homes have many amenities within walking distance; and there are 10 acres of open area, along with woodlands, parks, walking trails and a shared common area to be enjoyed. There is currently 1 home listed for sale and so far this year 1 has sold. $409,000. 2627 Rock Ridge Ct., Ann Arbor. 2452 square feet with 4 bedrooms and 2.1 baths. $320,000. 2361 Rockport Ct., Ann Arbor. 2001 sq. ft., + 800 in finished lower level, 4 bedrooms and 2.1 baths. Last year at Arbor Creek, 7 homes sold with an average sale price of $380,986 and an average price per square foot of $166.00. The one home sold this year has a sale price of $320,000, down 16%, and a price per square foot of $160.00, down 4%. To learn more about home values at Arbor Creek, contact the real estate specialists with The Bouma Group at (734)761-3060 or email info@bouma.com. View more Ann Arbor neighborhoods here! 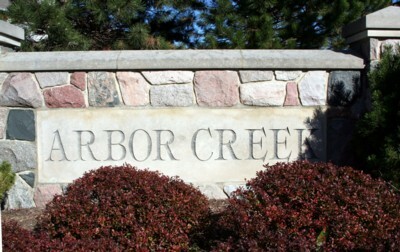 Arbor Creek is a good-sized neighborhood of spacious homes in a convenient location. There are currently 3 homes listed for sale and so far this year, 7 have sold. $495,000. 2627 Cook Creek, Ann Arbor. 2900 sq. ft., +1300 in finished lower level, 4 bedrooms and 3.1 baths. $419,900. 2576 Mystic, Ann Arbor. 2456 square feet with 4 bedrooms and 2.1 baths. $345,900. 2361 Rockport Ct., Ann Arbor. 2001 sq. ft., +800 in finished lower level, 4 bedrooms and 2.1 baths. $409,900. 2640 Rock Ridge Ct., Ann Arbor. 2448 sq. ft., +1247 in finished lower level, 4 bedrooms and 2.1 baths. 2216 square feet, plus an additional 1000 in the finished lower level, 4 bedrooms and 2.1 baths. Kitchen has a new dishwasher and refrigerator, a granite topped center island, and is open to the family room with a cozy fireplace. Finished lower level offers a huge rec/family room, study, and additional finished space. 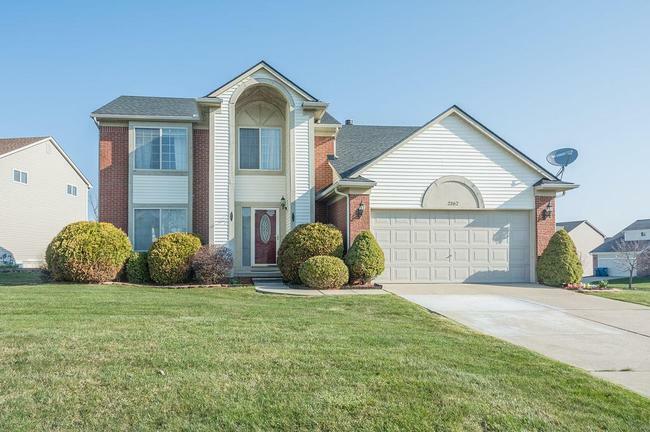 To request a private showing or more information for 2362 Marquis Ct., contact us at The Bouma Group today at 734-761-3060 or email info@bouma.com. View photos, market statistics, amenities and more for the Arbor Creek subdivision here! Arbor Creek Subdivision is a friendly Ann Arbor neighborhood in a beautiful natural setting. There is currently 1 home listed for sale and in the past 12 months, 7 homes have sold and 5 have been rented. In Arbor Creek Subdivision, there are currently 4 homes for sale with 1 under contract. 2 homes have been rented out so far this year, and 0 have sold. Listed for $289,900, 2072 square feet, 4 bedrooms, 2 baths. 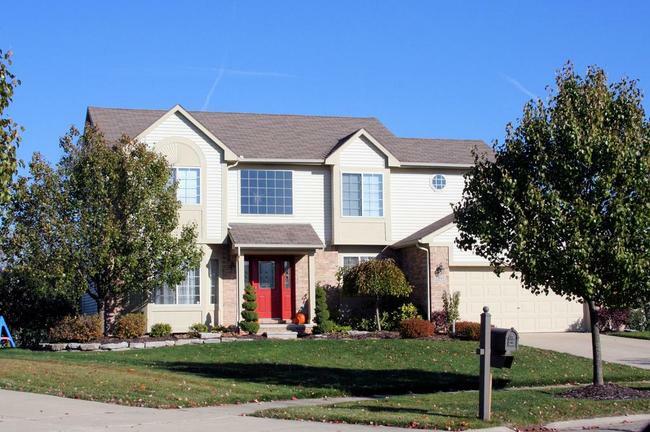 Listed for $329,900, 2618 square feet +1000 in finished lower level, 4 bedrooms, 3 baths. Listed for $355,000, 2739 square feet, 4 bedrooms, 2.1 baths.